Our heroine, Carice, is visiting her husband – she has something important to tell him. He's a diplomat, who's lying in hospital following a car accident. Stuck in a traffic jam on her way to the hospital, she abandons her car and sets off on foot on a journey that turns into a surreal trip. Imagine a David Lynch film co-written by Chuck Palahniuk, Jean-Paul Sartre and Milan Kundera. 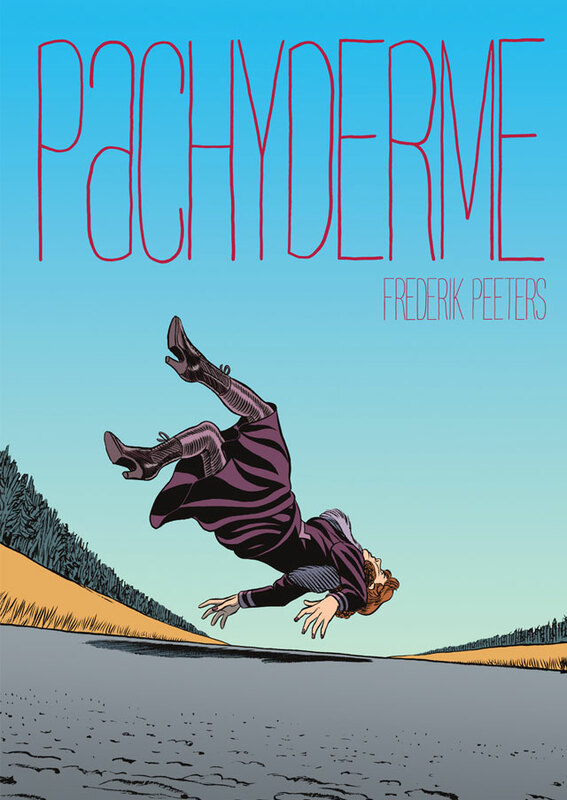 With a foreword by Moebius, Pachyderme is a deeply imaginative, mysterious and compelling graphic novel by one of Europe's finest comics artists. 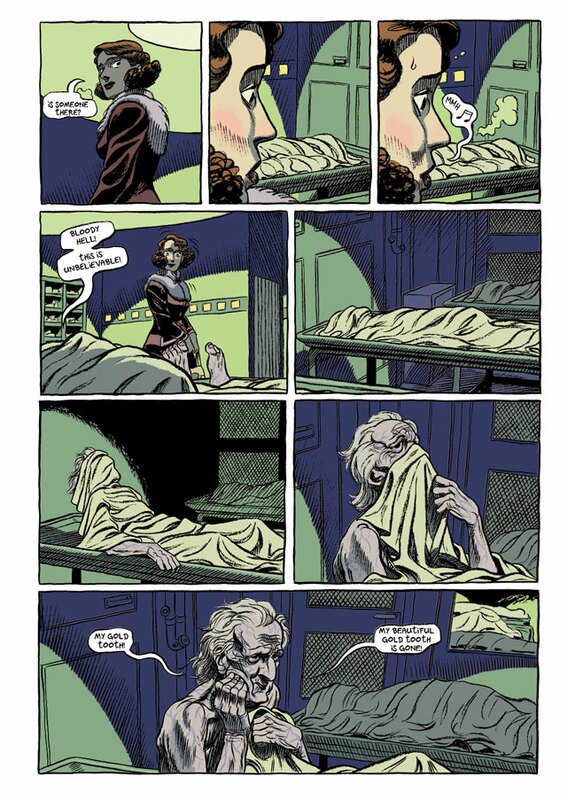 "It's funny and elegant and disturbing, and Peeters' evocative artwork – inspired equally, it seems, by classic Hollywood and the great horror comics of mid-century – makes every page eye-catching." 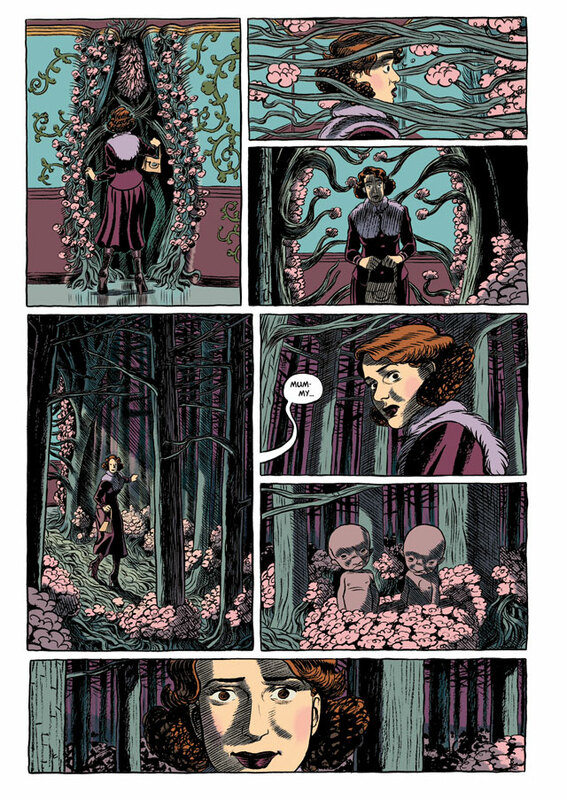 "Pachyderme is the perfect example of a vivid and poetic graphic novel that succeeds in conveying a sense of the unconscious, of true mystery."